Apple’s Safari web browser and the Oracle VirtualBox and VMware Workstation virtualization products were hacked on the first day of the Pwn2Own 2019 hacking competition, earning researchers a total of $240,000 in cash. 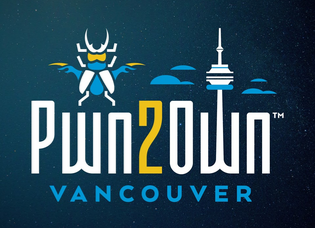 Pwn2Own 2019, which takes place these days in Vancouver, Canada, alongside the CanSecWest conference, is organized by Trend Micro’s Zero Day Initiative (ZDI). The prize pool for this year’s event exceeds $1 million. In addition, for the first time in the competition’s history, participants have been invited to hack a Tesla Model 3, which can earn them up to $300,000 and a car. On the first day of the event, Amat Cama and Richard Zhu of team Fluoroacetate earned $55,000 for an exploit targeting Safari. The exploit chain included an integer overflow in the browser and a heap overflow that allowed them to escape its sandbox. Interestingly, the white hat hackers used a brute-force technique to escape the sandbox. The same researchers also earned $35,000 for hacking Oracle VirtualBox. They succeeded on the second attempt by using an integer underflow and a race condition to escalate privileges and execute arbitrary code. They also received $70,000 for escaping a VMware Workstation virtual machine and executing code on the underlying host operating system. The Fluoroacetate team earned a total of $160,000 on the first day. A researcher who uses the online moniker anhdaden, of STAR Labs, has also been awarded $35,000 for hacking Oracle VirtualBox. He used a different integer underflow than the one disclosed by Fluoroacetate to escalate privileges and execute code on the host. Finally, the phoenhex & qwerty team earned $45,000 for a complete system compromise via an Apple Safari exploit with a kernel elevation. Their exploit, which involved visiting a malicious website, relied on a Just-in-Time (JIT) bug, a heap out-of-bounds (OOB) read, and a Time-of-Check-Time-of-Use (TOCTOU) bug to pivot from root to kernel. They would have likely earned more money, but it appears that Apple had already been aware of one of the vulnerabilities they used. On the second day of the event, researchers will attempt to hack the Mozilla Firefox and Microsoft Edge browsers. The third day is dedicated to Tesla hacking and two teams have signed up.